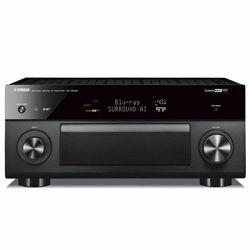 Yamaha RX-V2085 vs Yamaha AVENTAGE RX-A2080 testing allows shedding some light on the differences between two top-notch receivers of the same brand. 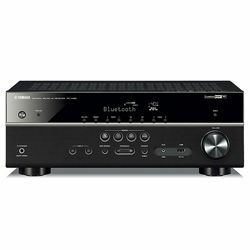 AVENTAGE series is pricier but has more well-structured firmware to last longer and considers fitting watching movies more than other Yamaha’s models. 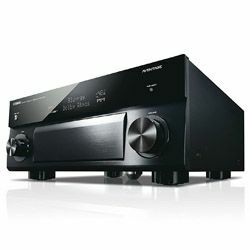 However, Yamaha RX-V2085 can save your money and seems to have the same feature set. 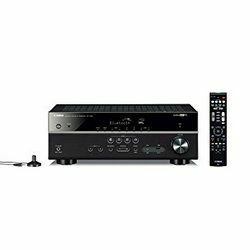 By comparing their basic purpose, Yamaha AVENTAGE RX-A2080 is for the professional custom installation crowd due to its great power that is enough for a 9.2-channel system. Yamaha RX-V2085 is aimed at the consumer home crowd. Both products have the same wide range of options except RX-V2085’s three-zone capability versus RX-A2080’s two-zone capability. Either Bluetooth or AirPlay is very responsive and stable without any mic disconnection in both AVs. The sound restitution has no issues – a plethora of effects help get a diverse experience according to the certain streaming source. It is possible to get the 11-channel sound on a 7-channel system in case of connecting to a front presence speaker. Yamaha AV Controller app is very clear and provides a fast access to the list of effects DSP, various modes, volume adjustment, YPAO activation, etc. Both units have Alexa voice control to create “smart” environment at home. The test Yamaha AVENTAGE RX-A2080 vs Yamaha RX-V2085 doesn’t reveal any essential differences between their setups. Both products have plenty of HDMI terminals to provide the simultaneous connection with several video devices. The units also have Bi-amp connection that helps escape interferences between low and high sounds. Yamaha AVENTAGE RX-A2080 has a middle leg, a rigid H-shaped frame, and is full of other parts to reduce distortions caused by vibrations. You can hardly compare their look except for dimensions. Both devices’ back panels are identical and the aluminum front panels look clean and sleek. Yamaha RX-V2085 is larger and 10 pounds heavier than RX-A2080. It is possible to combine it with wireless rear speakers. 7 built-in streaming services – Spotify and Pandora, Tidal and Napster, Deezer, Qobuz, and SiriusXM. FM antenna is not powerful enough, so you need to connect the antenna plug with the TV plug via coaxial cable. Can power 9 speakers at a time. Has next-generation Sound:Al tech to make dialogues more clear in the scenes with the noisy background via analyzing such scenes in real time. The Night Mode doesn’t show substantial changes in video and sound.